“That’s so magic(al)!” Abby Cadabby is ready to turn your birthday party into a fantastic birthday party ever! Celebrate your Sesame Street with Fairy themed-party. This pinky fairy will make you fly and happy! If you want to celebrate your next party with Abby, then we have the free printable Abby Cadabby birthday invitation template where you can download it for free! These Abby Cadabby comes in 5×7″ size with high quality printing image. Comes with pink chevron and polka dot design, it will make your party fancier. As usual, the template comes in blank, so you can easily fill it with your Abby Cadabby wording party invitation. Write down with a pen or a marker. 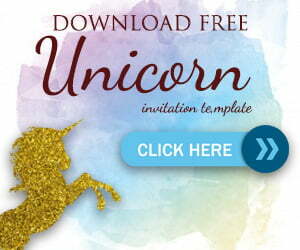 You can also edit the invitation with image processing software like Photoshop or Coreldraw. But if you are able to edit it with Canva, you will make it faster. Spread your wing and flitter on over! To a fairy birthday party, we hope you can come! Come have a fairy good time! It’s going to be so Magic! Print the invitation on your nearest printshop, or you can print it yourself! You can buy cardstock paper or multipurpose paper as your invitation paper. It brings authentic and premium feeling to the invitation. Don’t forget to buy the Abby Cadabby party supplies too!